The Warkworth is a beautifully designed four bedroom, detached family home with an integral double garage. As you enter the property there are double doors that lead into a luxurious lounge with feature bay window. The focal point of the home is the high specification kitchen with dining area that has French doors opening out onto the garden, perfect for family life. There is a utility room with access to the garden and the double garage. The downstairs cloakroom is also accessed from the utility room. Double doors from the dining area take you into a family room which is an ideal place for children to play or can be used as a snug for the whole family. 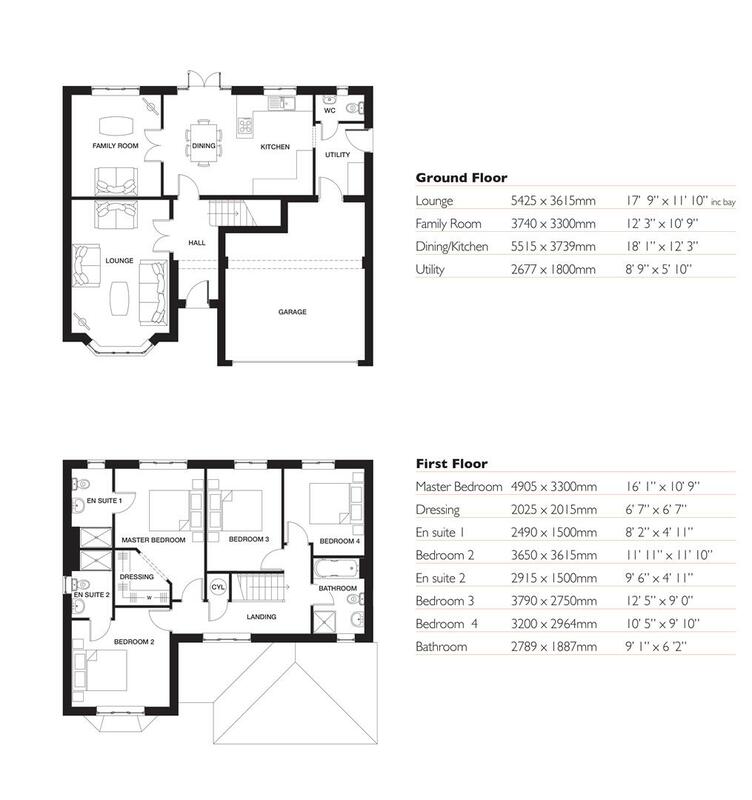 The first floor offers plenty of space and versatility with four double bedrooms, two of which include en-suite shower rooms. The spacious master bedroom has an en-suite and a separate dressing area. Bedroom two also has en-suite making it an ideal guest room. The modern family bathroom is situated near to bedrooms three and four and has a bath and a separate shower.